This entry was posted in Art Project, Exhibition Posts, Notes: Karrie Ross and tagged Alexander Kritselis, Aline Mare, Anna Stump, art projects, art-book project, Beanie Kaman, Bill Leigh Brewer, book signing, Bruce Dean, Bruce Love, couples and collaborations, Dori Atlantis, Gary Brewer, Ginger Van Hook, Jeffrey Crussell, Joey Forsyte, Leigh Salgado, Luke Van Hook, Mat Gleason, Michael Wood, Notes: Karrie Ross, our ever changing world book 2, Pamela Grau, Ph.D., Richard Bruland, Shana Nys Dambrot, Stephen Rowe, Stevie Love, Susan Savory, Tania Van Herle, Ted Meyer, vromans in pasadena, Wini Brewer on February 23, 2015 by Karrie. 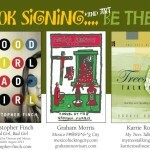 This event brings together three author/artsts and one artist who have something to say and display. Each will have artwork hung and books ready for signing. There will be wine and cheese and cookies and….. Here are photos from the event. 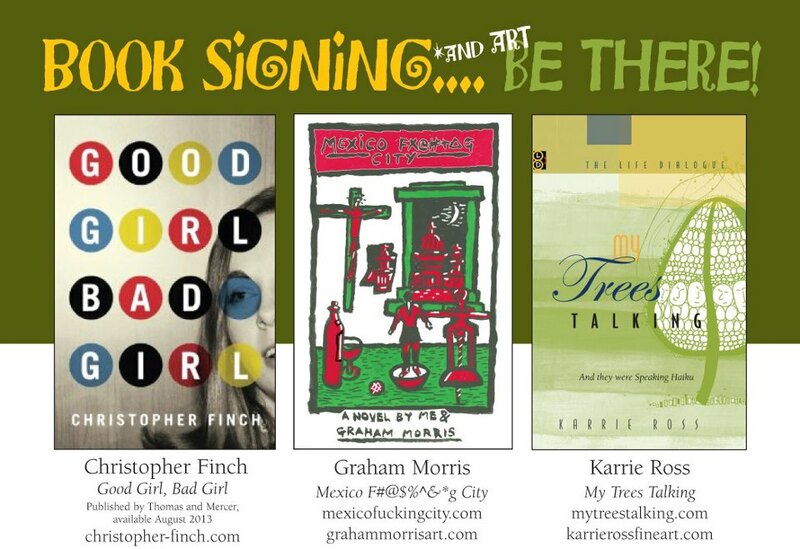 This entry was posted in Exhibition Posts, My Trees Talking Posts and tagged book signing, Christopher Finch, Continental Art Supplies, Derek Boshier, Graham Morris, Notes: Karrie Ross on May 23, 2013 by Karrie.